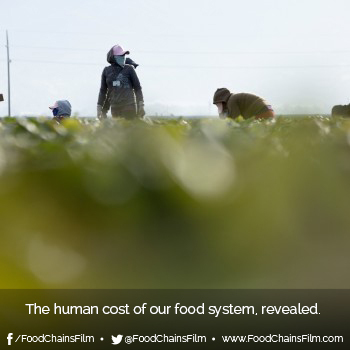 Pledge to join Food Chains in supporting the movement for Fair Food! 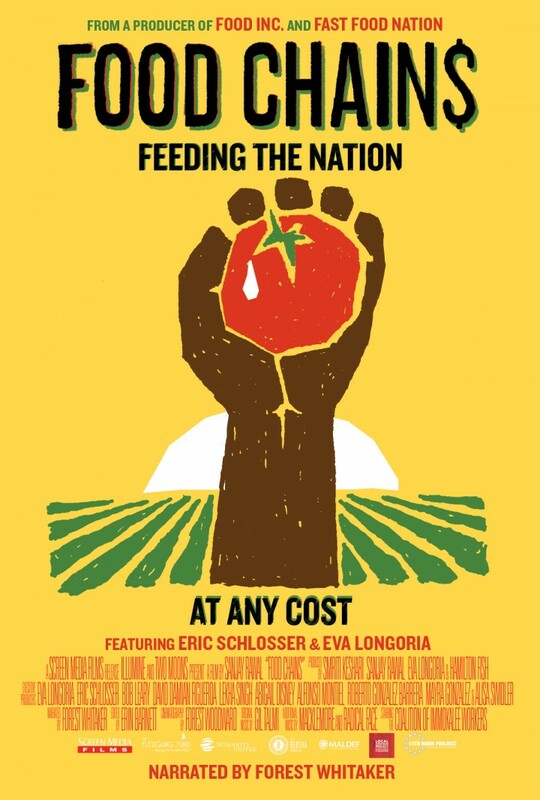 We will send you update on how to join protests, share facts about our food system and workers rights, and turn the film from a movie to a movement. 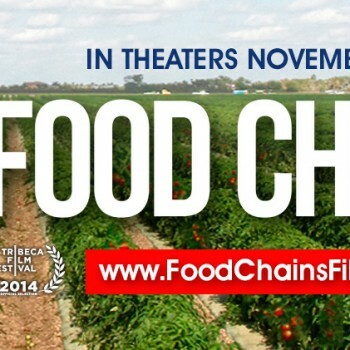 Make also sure to sign up for the Food Chains newsletter. If you’ve seen the film, then you know exactly how effective the work of the CIW has been. Help keep the momentum going. Every seat filled is a step towards justice! Join us in theaters nationwide starting on November 21st. 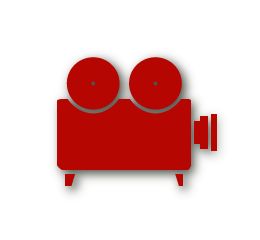 Contact us for group discounted tickets and hosting a panel discussion after a screening in your town. 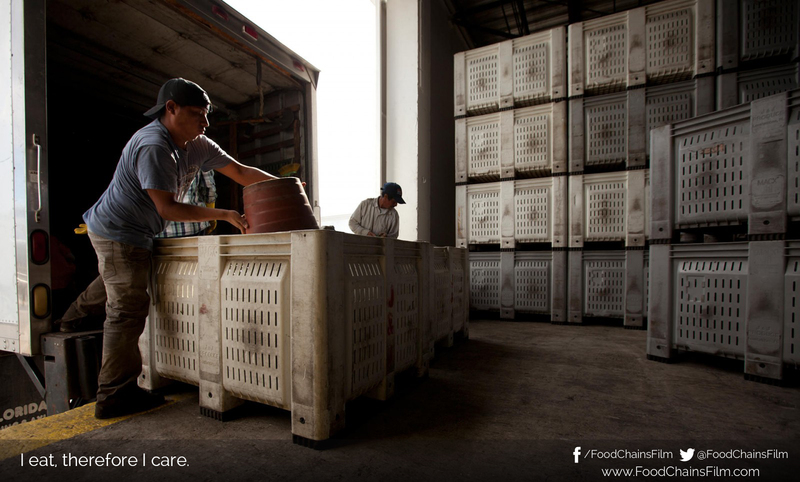 How do you know that the tomatoes you are buying are considered “fair?” Look for this label! Student, worker and activist led local Fair Food groups, which make up the Alliance for Fair Food, are making change across the country. 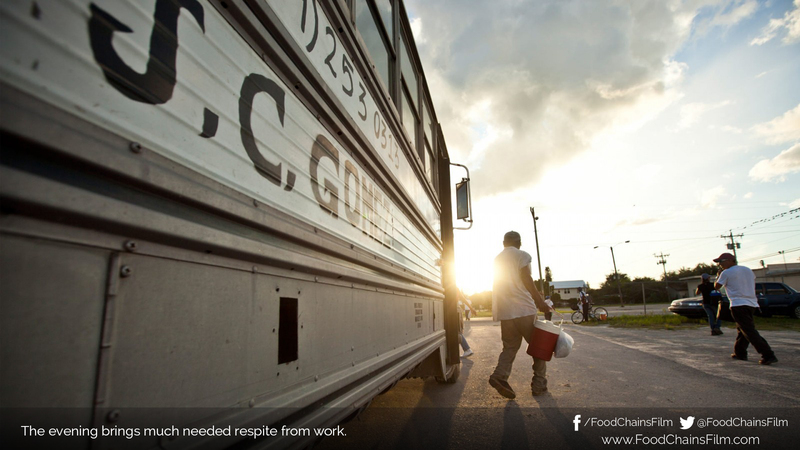 Find one near you to ensure fair food in your city. Don’t see one? Start your own! Starting in 2014, the Fair Food label will be available in select grocery stores. When you are buying tomatoes, be sure to look for this logo in the produce section. If you don’t see it, ask the store manager why. 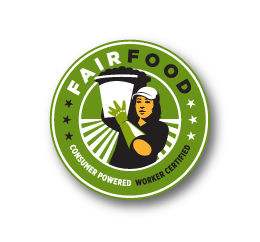 If your store is carrying this logo near their tomatoes, it means they are officially a part of the Fair Food Program, and have agreed to pay one more penny per pound to increase wages for farm workers, ensure safe working conditions and prevent forced labor. If you want to shop for fresh Fair Food tomatoes, you can find them by visiting this map. 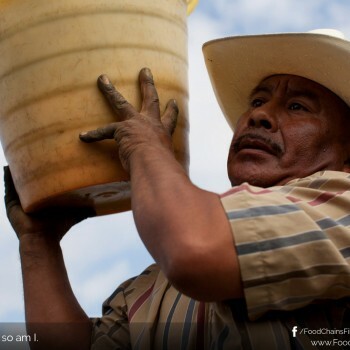 The CIW’s national Campaign for Fair Food is truly a grassroots effort. 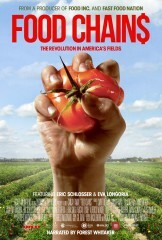 These local chapters strategize social action, lead protests, educate consumers on the issue of farm labor exploitation, and forge alliances between farmworkers and consumers – all to encourage major corporate food buyers to end exploitation. 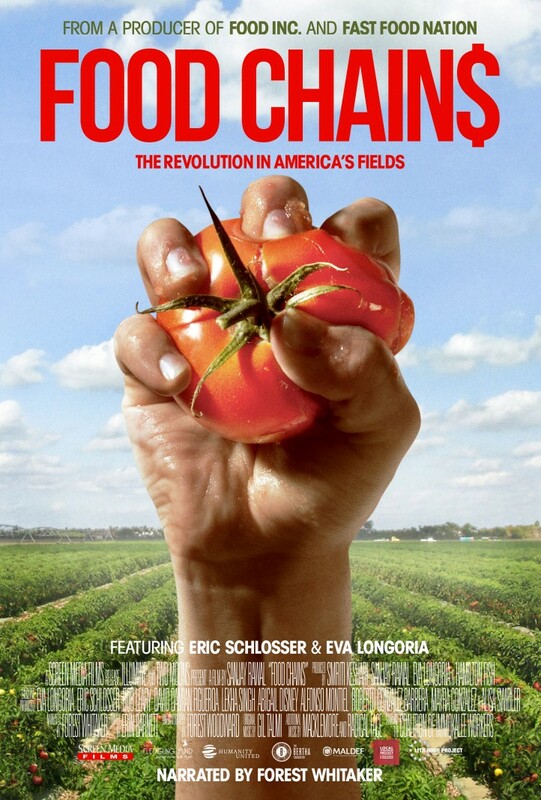 Since 2001, these groups have won campaigns against McDonald’s, Subway, Sodexo and Whole Foods, establishing more humane farm labor standards and fairer wages for farmworkers in their tomato suppliers’ operations. These groups will be filling theaters and making noise on November 21st. We hope you’ll join them. To join a local fair food group, check out the list below. 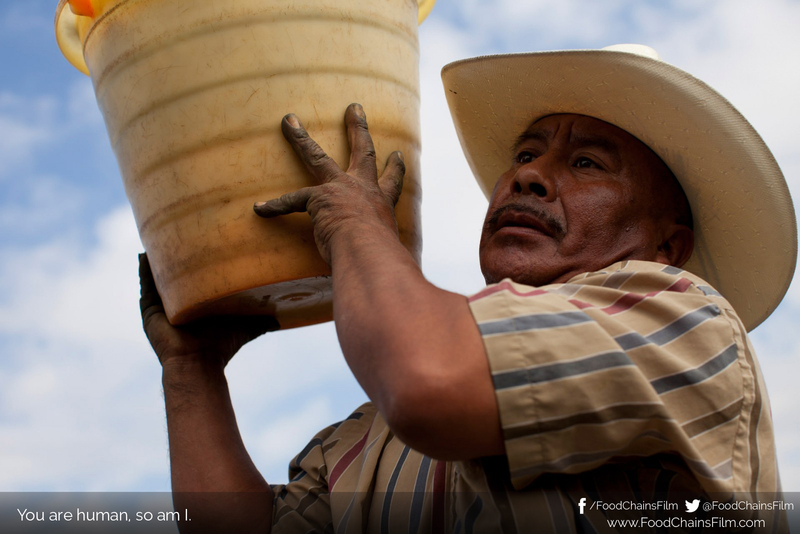 To start your own local movement, email workers@ciw-online.org to receive the starter packet. Publix, Kroger and Wendy’s are all refusing to join the Fair Food Program, and won’t buy from farms that support humane farm labor standards and fair wages for tomato farmworkers. With your help, we can change this. We will be leading local and national social action campaigns alongside the film’s release. 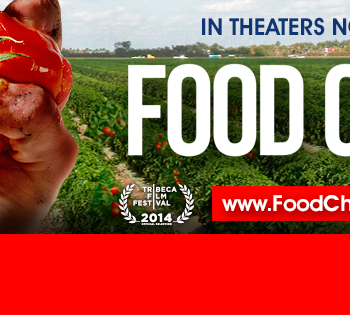 To join this movement, pledge to see the film and support fair food. 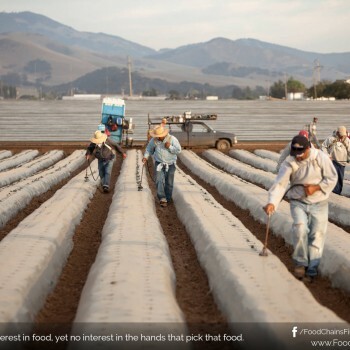 Not only will you be taking a stand against the corporate food buyers who exploit farmworkers, you will then get updates on ways you can take action. Did you take one of the actions above? Or just want to tell everyone about this film? 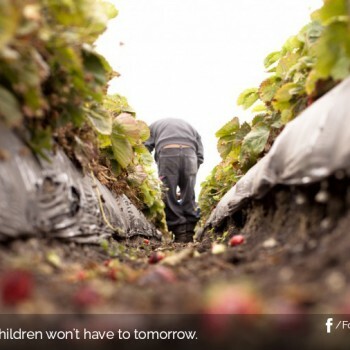 Check out these graphics that you can share online to help drive awareness and action in support of America’s farmworkers. 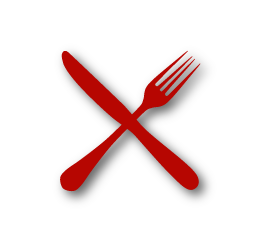 Call: Visit Sum of Us for the phone number, instructions and talking points to tell Wendy’s to join the Fair Food Program. Sign: Sign the petition to tell Wendy’s to sign the Fair Food Agreement and get on the right side of history! Deliver: Download, print and take this letter to the Wendy’s restaurant near you. Sign: Visit Walk Free to sign the petition calling on Publix to do the right thing and sign on to the Fair Food Program. Deliver: Download, print and take this letter to the Publix supermarket you. 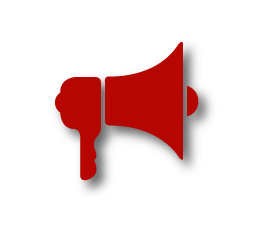 Educate: Download this flyer for when you are participating in an action, would like materials to hand out at an event you’re attending or simply want to educate your friends and family! It has all the basics. Deliver: Download, print and take this letter to the supermarket near you! Drop it off with the store manager to let Wendy’s know that people across the country want them to get on board with the Fair Food Program. 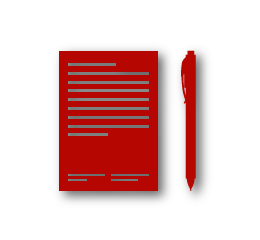 Educate: Download a flyer for when you are participating in an action, would like materials to hand out at an event you’re attending or simply want to educate your friends and family! If you want to shop for fresh Fair Food tomatoes, use the map below to see select grocery stores and restaurants that are part of the Fair Food Program. When you go, don’t forget to thank the manager for joining the Fair Food Program. 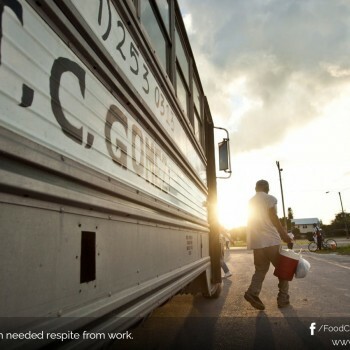 The Fair Food Program is a groundbreaking model for social responsibility based on a unique partnership among farmworkers, Florida tomato growers, and participating buyers. 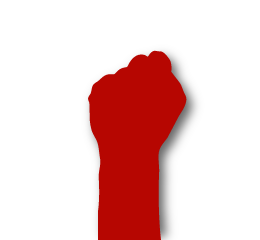 The FFP has been called “one of the great human rights success stories of our day” in a Washington Post op-ed, “the best workplace monitoring program” in the U.S. in the New York Times, and a “smart mix of tools” that “could serve as a model elsewhere in the world” by the United Nations Working Group on Business and Human Rights. 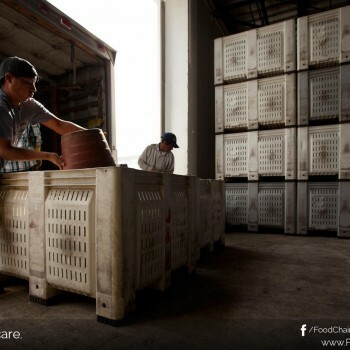 Within the Fair Food Program, participating buyers pay the “penny per pound” premium which tomato growers pass on to workers as a line-item bonus on their regular paychecks. The Program also includes a human-rights-based Code of Conduct. Learn more here. 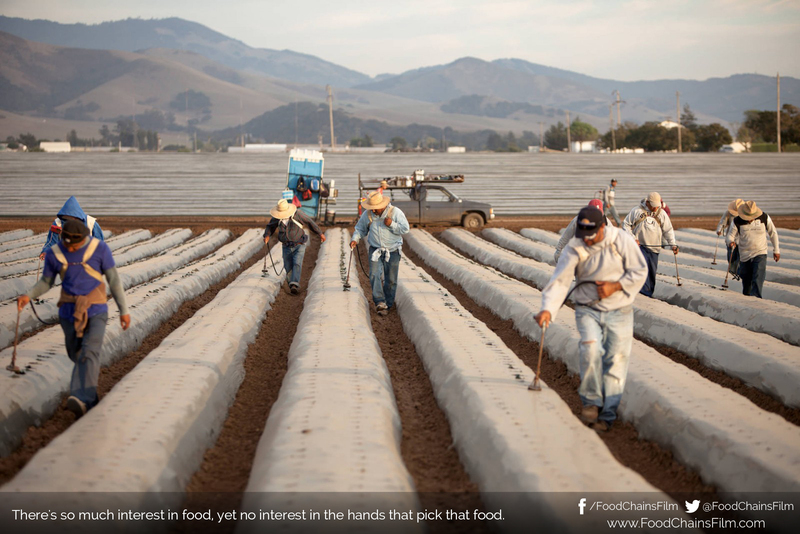 These partners are supporting the movement for farmworker justice, see what they’re up to.